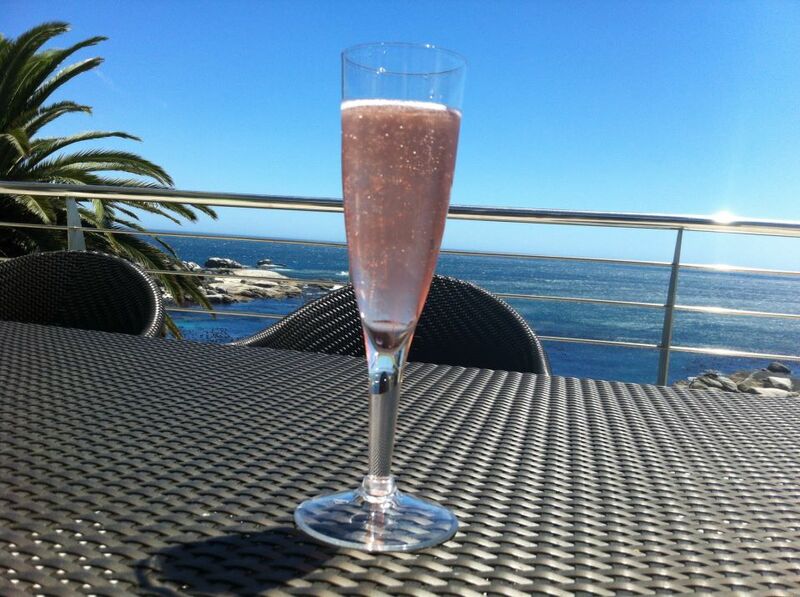 Nestled against the beauty of the Twelve Apostles mountain range, The Cape Luxury penthouse is located just metres from the water at Camps Bay, allowing you to enjoy Cape Town's wonderful sunsets from your balcony. 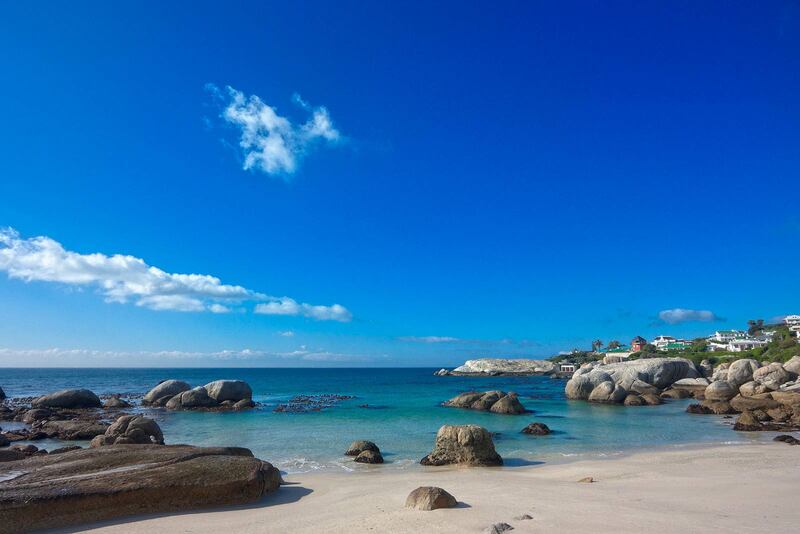 Just 200 metres away is Camps Bay beach, which has been awarded Blue Flag status. It's famous for its white sandy beach and palm-tree lined promenade. Camps Bay is a trendy suburb, 7 minutes from the centre of one of the world's most beautiful cities, Cape Town. Set against the impressive backdrop of the Twelve Apostles mountain range, Camps Bay beach is one of Cape Town's largest and most beautiful beaches. Camps Bay restaurants and bars line the palm-tree promenade opposite the beach. Behind them are the luxury houses of Cape Town's wealthiest residents. Local life is casual and in the evening residents and holiday makers can be found enjoying sundowners at the many chic sidewalk cafés on the beachfront. 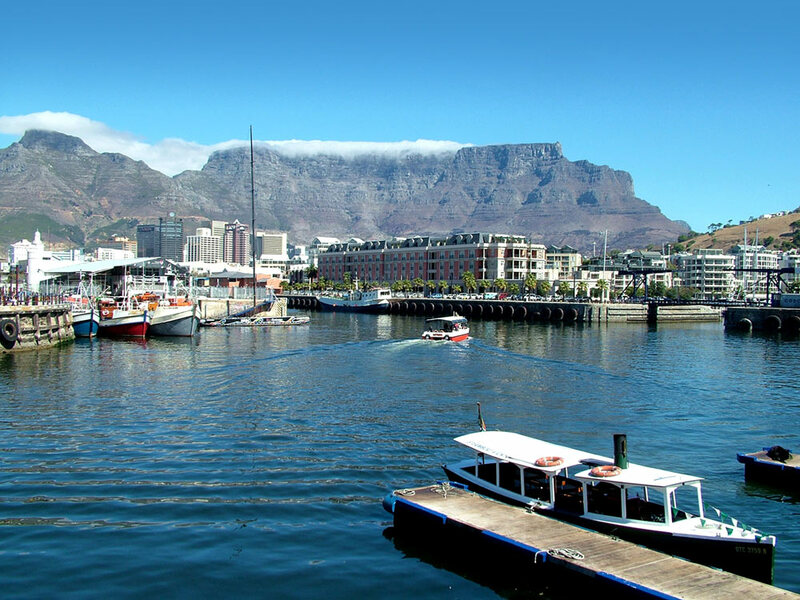 Camps Bay Tourism presents the latest Camps Bay information, from Camps Bay accommodation and attractions to Spa's and conference venues in South Africa's beautiful suburb on the Western Cape Coast. Visit the website below for lots of good information. No trip to the Cape would be complete without a cable-car trip to the top of Table Mountain. An awesome ride in the cable-car gives you a panoramic view of Cape Town, and the view from the top is nothing short of spectacular. Another "must do" is a visit to the winelands - the Constantia Wine Route is just 15 minutes drive away and offers fantastic wines and a choice of world-class restaurants. Nature lovers will enjoy the forests and walking trails, boasting unique fauna & flora, as well as the incredibly scenic Chapman's Peak Drive. Carved into the solid rock of the mountain, Chapman's Peak Drive curves along the craggy coastline, high above the sea, and is considered to be one of the most spectacular mountain drives in the world. There are numerous dramatic viewing spots and picnic sites along the route that attract lovers of nature and beauty. Watch the comings and goings of fishing boats and other craft, enjoy wonderful sunsets or take picture-postcard shots of the bay. The world-famous Kirstenbosch Botanical Gardens are only 10 mins drive away and if it's shopping you're after, the world famous V&A Waterfront is a short (and very scenic!) drive away. A million visitors a month can't all be wrong! Be sure to keep your eyes peeled for international celebrities, who regularly take time out of their hectic schedules to relax in the anonymity of the Cape. 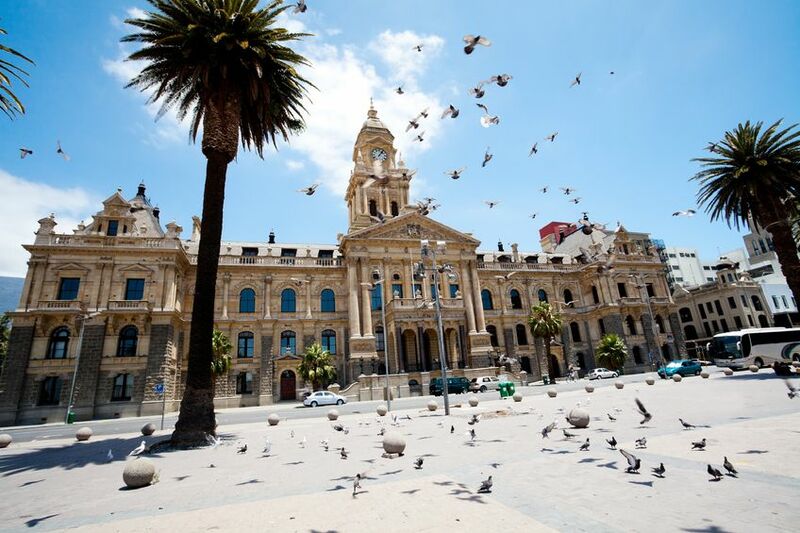 Don't forget to visit the historic Cape Town Castle, and Robben Island, home to Nelson Mandela for 27 years and now a moving memorial to the South African liberation struggle. Prior to this, for 400 years the island had been used as a convenient place to send 400-years' of social misfits. Now the island is a significant historical site, and home to a rich and varied marine life, including some rare migrant seabirds. During your visit you will be guided through the old prison by one of the former inmates, allowing an eerie insight into life on the island. A plethora of interesting activities lie slightly further afield. 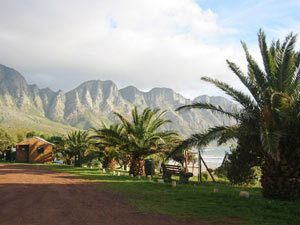 Some of these include the Wine Routes of Stellenbosch, Paarl, and Franschhoek (from 45 minutes drive). Visiting the Cape of Good Hope, known locally as Capepoint, where the Indian and Atlantic Ocean meet below the highest sea-cliffs in the world. Cape Point is also one of the world's 20 Natural Heritage Sites. and it evokes memories of seafarers facing incredible challenges in taming its fury, its raw beauty and Fauna and Flora a joy to behold. 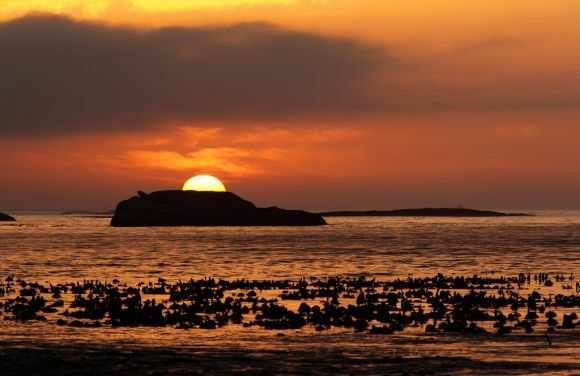 Visit the penguin colony at Boulders beach en route and view the amazing birds only found in the Southern Hemisphere.